Finding the right cooking class can be quite a challenge, particularly when there are so many to consider. Put yourself in the best position to improve your skills by booking with one of the best cooking schools in Perth! 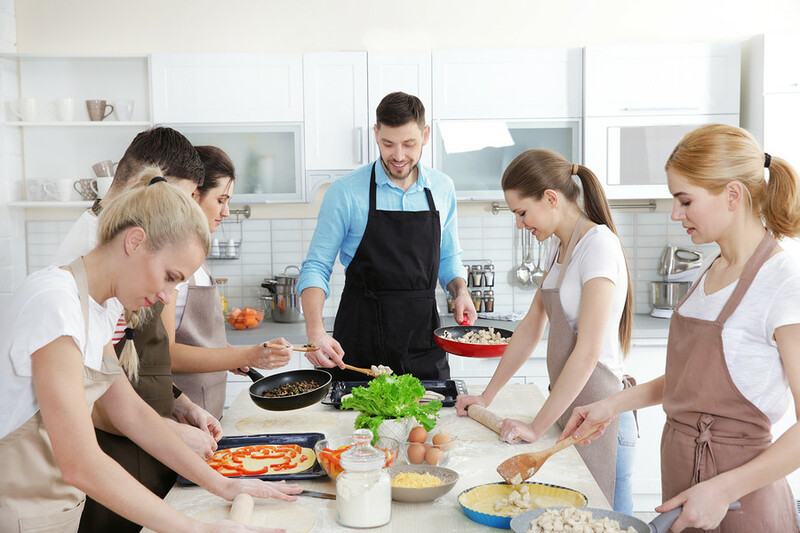 Whether you are making a simple meal at home or looking for new inspirational meal and drink ideas, a well-designed and reputable class can help you express your passion for creating tasteful, extravagant food. 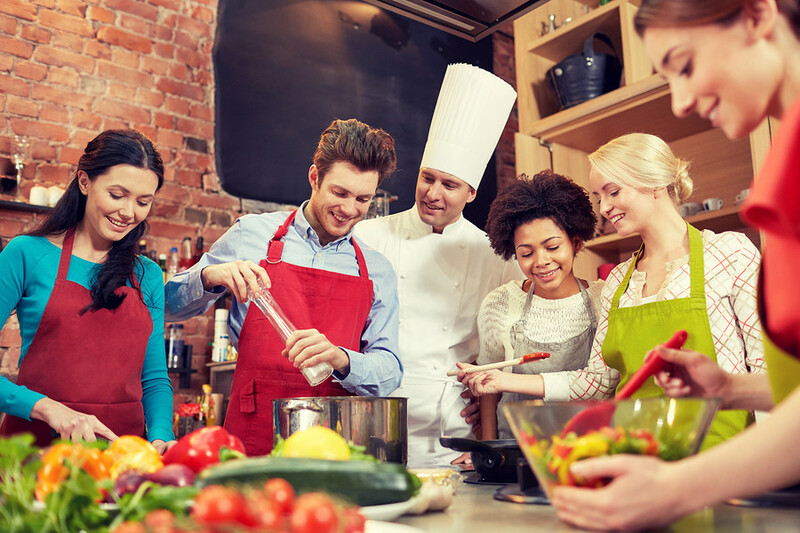 To grasp an understanding of new ways to create delicious meals and learn the fundamentals of cuisine, take a look at the 4 best cooking schools in Perth. Where are the best cooking schools in Perth? Put yourself in the best position to improve your skills by booking with one of the best cooking schools in Perth! The Cooking Professor specialises in developing a private small team environment for aspiring cooks to create dishes under the guidance of a knowledgeable and experienced instructor. Owned by Chef Riki Kaspi and teamed by friendly, devoted and passionate instructors, The Cooking Professor provides a broad range of courses across a wide variety of cuisines. Since establishment in 2007, The Cooking Professor continues to provide a high standard of cooking classes for those of all ages. The classes typically run for three hours with two hours in the open-plan kitchen and one hour for eating and sharing all of the dishes. In an open, welcoming and interactive environment, you will be able to see and learn how each dish is prepared and created. You will be provided with an opportunity to create exquisite dishes so that you can create them on your own at home! You won’t need to bring anything as all the cooking equipment and necessities are provided. After you create the meal, sit down at the end and share a massive feast! The Spanish Tapas class is certainly the most popular, taught by owner and Chef Riki Kaspi. In this class you will learn how to create a variety of small plates or snacks of Spanish origin. Whether they are hot or cold, they are a true representation of the vibrant Spanish cuisine. Also being very adaptable, Spanish tapas can be used for a snack or an entire social feast; it’s entirely up to you! Additionally, The Cooking Professor provides classes for children aged 6-14, those looking to improve their knife skills and baking for beginners. Complementing the variety of classes on offer, they specialise in corporate team building and private events. These classes and events provide a great opportunity for co-workers to build relationships and interact with each other on a more personal level. As teamwork involves lots of communication, the kitchen provides the perfect atmosphere for co-workers to learn and understand more about each other. 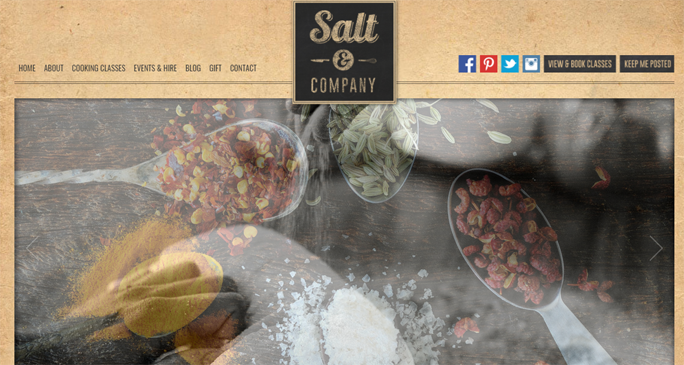 Salt & Co. certainly has an edge in the cooking class industry, allowing aspiring cooks to bring their meals to life. Salt & Co. have a wide variety of cooking class options on offer, starting with private classes and extending to corporate events and even venue hire. At Salt & Co. you will learn the fundamentals of each individual cuisine and be able to use specific techniques, ingredients and learn how you can make a unique creation on your own. Salt & Co.’s private classes focus on learning the fundamental aspects of preparing food and understanding food culture from around the world. With dedicated and knowledgeable instructors, this passion for food is combined with a welcoming and friendly environment for all ages. Food choices for classes include South American street food, Southern Indian, Moroccan banquet and many more! The South American street food class is popular and known for inspiring a notion of adventure, vibrancy and passion. The class will take you on a journey, exploring new ingredients and flavours which you may have never used or even heard of before. The class typically runs for 3 hours and 30 minutes and includes 6 different dishes to create. The corporate events on offer at Salt & Co. are definitely worth consideration. Whether you are interested in a team building activity for your co-workers, a function for your clients or simply a way to foster teamwork and innovation in a creative way, Salt & Co. provides a corporate event service that is of a high standard. Salt & Co. is located at 239 Fitzgerald Street in West Perth and provides a unique venue hire service in either their kitchen studio or dining hall. If you would like to find out more or learn more about particular classes, you can visit the blog page on their website which provides up-to-date information for their clients. 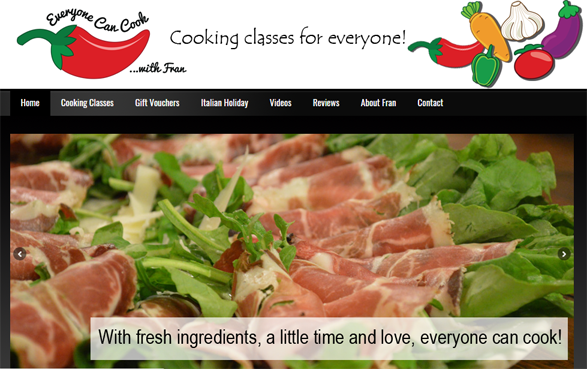 Everyone Can Cook, founded and owned by Fran is an Italian food cooking class specialist. Fran provides a wide range of Italian cooking classes, including 3 types of pasta classes, a Sunday lunch class, a devilish deserts class and a beautiful biscotti class. With such a strong Italian heritage and being born in Provincia di Chieti, Abruzzo, Fran has been surrounded by Italian food her entire life. Raised in Italy and by an Italian grandmother, mother and many aunties, Fran has learned traditional Italian cooking skills first-hand. Additionally, Fran has spent significant time in Abruzzo with reputable chefs, having experience of over 25 years in the restaurant industry. She gives great value to pursuing her passion and sharing it with cooks who are willing to learn and try new things. Everyone Can Cook has had many great reviews on their website, proving that her classes leave her clients in a better place to enjoy being in the kitchen and creating new unique foods. Located on the corner of McCombe Avenue and Tangney Cres, Samson, Everyone Can Cook is very accessible to all. Fran’s Pasta 1 class is very unique, allowing ordinary cooks to learn from an Italian expert about how to make fresh, authentic homemade pasta with delicious complimentary sauces. Traditional handmade agnolotti, lasagna and spaghetti are the focus of this class. Additionally, Fran’s Pasta 2 class has a fettuccini, gnocchi and ravioli focus, while her 3rd pasta class focuses on Farfalle, tortellini and cannelloni. It is very clear that Fran has experience across all variations of pasta and has skill in these areas, so there is a lot to learn from! Aside from this, Fran offers Italian ‘Devilish Deserts’ and ‘Beautiful Biscotti’ to delight family and friends at festive occasions or simply to enjoy with a coffee. Alongside Fran’s intriguing pasta classes, Everyone Can Cook has a videos page on their website. These videos show some of Fran’s work that you can do yourself at home! Additionally, Everyone Can Cook hosts a one week tour around Italy for anyone at home looking to explore and embrace Italian food culture. With a central focus being on the Abruzzo area, traditional Italian families still make their own wine, sausages, olive oil and much more. Matters of Taste has taught over 70,000 clients since 1997 and specialises in teaching people the skills required to cook creative fresh food at home. Matters of Taste solves the dinner choice dilemma by showing clients how to use fresh ingredients to create tasteful and nutritious dishes. With various food tours, cooking classes, corporate events and free recipes on offer, Matters of Taste certainly is one of the best in Perth. Matters of Taste’s collection of live cooking classes that provide hands on experience and demonstrations with guest presenters, everyday cooks can learn from the most experienced. Cooking classes include: Spanish Tapas, Tastes of Tokyo, New York Nosh, Intoxicating Thai, Mexican Taste Fiesta and many more. With such a wide range of cuisines to choose from, every cook can find their niche at Matters of Taste. As business team building becomes increasingly important, Matters of Taste has decided to utilise their passion for food, putting a creative twist on the way communication and teamwork is built. Since 2006, Matters of Taste has hosted more than 12,000 people at corporate events. Alongside Matters of Taste’s classes and corporate event capabilities, culinary tours to enjoy beautiful food experiences are on offer. 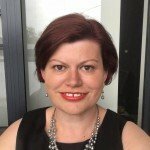 Tracey, founder and owner of Matters of Taste, has been hosting and designing food adventures all over Australia and New Zealand for the past decade. While travelling with Tracey, you will be able to learn from primary producers, restaurateurs and specialists. The tours provided by Matters of Taste are personalised and provide exclusive access to the backbone of food sources and behind the scenes of food creation. Last but not least, Matters of Taste has an insightful blog page on their website which allows clients to keep up with all the tips and news from the instructors, involve themselves in diet and health discussions and much more. It is clear that finding the right cooking class can be a challenge at first as there are so many to consider. However, after consideration of the best 4 cooking schools in Perth, you are in a great position to not only solve the weekly dinner dilemma but also improve your cooking skills, bond with friends and family and exercise your passion for cooking at one of these great schools in Perth. Who knows, your new knowledge could help land you a great job in one of the region’s best cafes or restaurants!